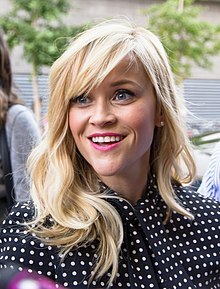 Laura Jeanne Reese Witherspoon (born March 22, 1976) is an American actress, producer, and entrepreneur. She is the recipient of several accolades, including an Academy Award, a Primetime Emmy Award, a BAFTA Award, a Screen Actors Guild Award, two Golden Globe Awards and two Critics' Choice Awards. Born in New Orleans, Louisiana, and raised in Tennessee, she began her career as a teenager, making her professional screen debut in The Man in the Moon (1991), for which she was nominated for a Young Artist Award. 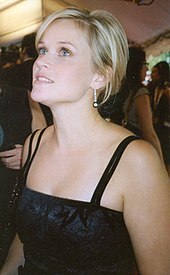 Following roles in Desperate Choices: To Save My Child (1992), Jack the Bear (1993), Freeway (1996), and Pleasantville (1998), Witherspoon's breakthrough came with her portrayal of Tracy Flick in the black comedy Election (1999), for which she was nominated for a Golden Globe Award. In December 2017, HBO renewed Big Little Lies for a second season making the series a regular drama series series instead of a miniseries. The second season is expected to air in 2019. Witherspoon has also signed on to produce and star in Top of the Morning for Apple alongside Jennifer Aniston. The series is currently filming. Furthermore, Witherspoon will act and produce in the Hulu miniseries Little Fires Everywhere, the televised adaption of Celeste Ng's 2017 novel of the same name. Witherspoon will also executive produce Are You Sleeping and an untitled comedy series from Colleen McGuinness, both set at Apple. Witherspoon will also serve as an executive producer for the ABC comedy series based on the memoir Americanized from Sara Saedi. All upcoming series will be produced through her production company Hello Sunshine. Witherspoon has cited actresses Jodie Foster, Meryl Streep, Lucille Ball, Carole Lombard, Judy Holliday, Gena Rowlands, and actors Tom Hanks, Jack Nicholson, and Michael Keaton as influences on her acting. Her favorite films are Splendor in the Grass, Waiting for Guffman, Broadcast News, Raising Arizona, and Overboard. In early February 2010, it was reported that Witherspoon was dating Jim Toth, a talent agent and co-head of motion picture talent at Creative Artists Agency, where Witherspoon is a client. Witherspoon and Toth announced their engagement in December 2010, and married on March 26, 2011, in Ojai, California, at Libbey Ranch, Witherspoon's country estate, which she later sold. The couple have a son together, born in September 2012. ↑ Martin, Aaron (March 1, 2006). "Green Threads on the Red Carpet". Tulane University magazine. Archived from the original on March 11, 2007. Retrieved April 30, 2007. 1 2 Hurst, Greg (March 5, 2006). "The dork who grew into a Hollywood princess". The Sunday Times. UK. Archived from the original on August 15, 2011. Retrieved November 26, 2007. 1 2 3 4 5 6 "Reese Witherspoon biography". Yahoo! Movies. Archived from the original on June 5, 2007. Retrieved October 25, 2007. 1 2 3 4 Slschy, Ingrid (December 1, 2005). "That's Reese: stepping into the ring of fire". Interview. ISSN 0149-8932. ↑ Mike Fleeman and Kay West (May 10, 2012). "Reese Witherspoon's Mom: My Husband Married Another Woman". people.com. Archived from the original on January 2, 2016. Retrieved January 20, 2016. ↑ Communications and Marketing (June 4, 2012). "College of Nursing Honors 2012 Outstanding Alumni Award Recipients". uthsc.edu. Archived from the original on January 2, 2016. Retrieved January 20, 2016. ↑ Wills, Dominic. "Reese Witherspoon biography (page 1)". Tiscali. Archived from the original on October 15, 2007. Retrieved November 26, 2007. 1 2 3 Stuges, Fiona (August 7, 2004). "Reese Witherspoon: Legally Blonde. Physically flawed?". The Independent. UK. Archived from the original on July 7, 2009. Retrieved November 18, 2010. ↑ "Reese Witherspoon: Legally Blonde... Again". Agirlsworld.com. Archived from the original on August 12, 2003. Retrieved October 25, 2007. ↑ DSDI Staff (December 11, 2011). "John Witherspoon – The Descendants of the Signers of the Declaration of Independence". USA. Archived from the original on February 12, 2013. Retrieved February 9, 2013. ↑ "Reese Witherspoon's parents in bigamy dispute". CNN. May 10, 2012. Archived from the original on January 23, 2015. Retrieved January 23, 2015. 1 2 3 4 5 6 "Talent behind Witherspoon's win". BBC News. January 17, 2006. Archived from the original on September 5, 2007. Retrieved October 25, 2007. 1 2 3 4 Puig, Claudia (September 18, 2002). "Witherspoon's 'Sweet Home'". USA Today. Retrieved November 4, 2007. ↑ "Reese Witherspoon Opens Up About Religion and the Afterlife: 'I Think You Get an Angel and Wings and a Halo'". Entertainment Tonight. Retrieved November 7, 2017. 1 2 3 4 5 Wills, Dominic. "Reese Witherspoon biography (page 2)". Tiscali. Archived from the original on October 15, 2007. Retrieved November 26, 2007. 1 2 Grant, Meg (September 30, 2005). "Face to Face With Reese Witherspoon". Reader's Digest. Archived from the original on May 12, 2008. Retrieved October 19, 2009. 1 2 "Reese Witherspoon: A novel challenge for blonde ambition". London: The Independent. January 7, 2005. Archived from the original on September 4, 2015. Retrieved June 29, 2015. ↑ Meyer, Norma (November 13, 2005). "A type A is already on A-list". The San Diego Union-Tribune. Archived from the original on May 7, 2005. Retrieved November 26, 2007. ↑ Booth, William (November 13, 2005). "Playing It Straight (page 1)". Washington Post. Retrieved November 10, 2007. 1 2 3 Gardner, Elysa (September 13, 1998). "Reese Witherspoon; Commitment, Success and the Age of Ambivalence". New York Times. Archived from the original on January 8, 2008. Retrieved October 25, 2007. ↑ Pulver, Andrew (January 9, 2015). "Reese Witherspoon: behind-the-scenes revival of Hollywood's unlikely feminist". The Guardian. Retrieved November 7, 2017. ↑ Escobar, Sam (March 22, 2016). "Reese Witherspoon Through the Years". Good Housekeeping. Retrieved November 7, 2017. ↑ "Reese Witherspoon". IMDb. Retrieved November 7, 2017. ↑ Vena, Jocelyn (December 29, 2010). "Reese Witherspoon's Love Life: From Ryan Phillippe To Jim Toth". MTV. Archived from the original on September 27, 2011. Retrieved February 1, 2012. ↑ Zupkus, Lauren (January 29, 2015). "Alyssa Milano Shares A '90s #TBT Photo With Reese Witherspoon". Huffington Post. Retrieved November 7, 2017. ↑ "Freeway (1996) from Reese Witherspoon's Best Roles". E! Online. Retrieved November 7, 2017. ↑ LaSalle, Mick (August 23, 1996). "`Freeway's' Wild, Funny Ride". San Francisco Chronicle. Archived from the original on December 25, 2007. Retrieved December 12, 2007. ↑ "Reese Witherspoon". The Biography Channel. Archived from the original on November 8, 2012. Retrieved February 1, 2012. 1 2 Booth, Philip (February 6, 2003). "Spoonfuls of video treats". St. Petersburg Times. Archived from the original on December 28, 2007. Retrieved November 10, 2007. ↑ "Reese Witherspoon Awards". uk.movies.yahoo.com. Archived from the original on January 9, 2007. Retrieved July 4, 2007. ↑ Graham, Bob (March 5, 1999). "``Dangerous Liaisons' Junior". San Francisco Chronicle. Archived from the original on November 21, 2007. Retrieved December 6, 2007. ↑ "Reese Witherspoon Award". Yahoo! Movies. Archived from the original on June 30, 2007. Retrieved November 10, 2007. ↑ "Film Independent Spirit Awards" (PDF). spiritawards.com. Archived from the original (PDF) on April 22, 2012. Retrieved April 10, 2012. ↑ "100 Greatest Movie Performances of All Time". Filmsite.org. Archived from the original on September 29, 2007. Retrieved July 4, 2007. ↑ Booth, William (November 13, 2005). "Playing It Straight (page 3)". The Washington Post. Retrieved November 10, 2007. ↑ Deggans, Eric (May 4, 2004). "Guest stars: The good, the bad, the twin sister". St. Petersburg Times. Archived from the original on December 13, 2007. Retrieved November 10, 2007. 1 2 "Reese Witherspoon". Box Office Mojo. Archived from the original on October 20, 2007. Retrieved December 2, 2007. ↑ Harkness, John (February 6, 2003). "Classic Crawford". NOW. Archived from the original on September 11, 2012. Retrieved February 1, 2012. ↑ Ebert, Roger (July 13, 2001). "Reviews: Legally Blonde". Chicago Sun-Times. Archived from the original on May 22, 2007. Retrieved February 23, 2007. ↑ Zacharek, Stephanie (July 13, 2001). "Legally Blonde". Salon.com. Archived from the original on December 5, 2007. Retrieved December 12, 2007. ↑ Axmaker, Sean (July 13, 2001). "Enough energy in this 'Blonde' to perk up limp comedy". Seattle Post-Intelligencer. Retrieved December 12, 2007. ↑ Clark, John (May 12, 2002). "Young and talented, headstrong and 'Earnest' Reese Witherspoon gets what she wants". San Francisco Chronicle. Archived from the original on December 4, 2007. Retrieved November 4, 2007. ↑ "Announces the 4th Annual 2002 Teen Choice Awards Nominees". PR Newswire. Archived from the original on August 29, 2003. Retrieved November 4, 2007. ↑ "Interview with Reese Witherspoon". IGN. September 23, 2002. Archived from the original on July 13, 2011. Retrieved June 12, 2007. ↑ Wills, Dominic. "Reese Witherspoon biography (page 6)". Tiscali. Archived from the original on May 7, 2008. Retrieved December 12, 2007. ↑ Ogle, Connie (September 27, 2002). "Linin' up good ol' cliches, in a fashion". Miami Herald. Archived from the original on June 23, 2007. Retrieved December 1, 2007. ↑ Ebert, Roger (September 27, 2002). "Sweet Home Alabama". Chicago Sun-Times. Archived from the original on December 12, 2007. Retrieved December 1, 2007. ↑ "Sweet Home Alabama". Tiscali. Archived from the original on May 7, 2008. Retrieved December 1, 2007. ↑ Sterritt, David (September 27, 2002). "A down-home dilemma". Christian Science Monitor. Archived from the original on March 12, 2008. Retrieved December 12, 2007. ↑ Puig, Claudia (July 2, 2003). "Legally Blonde 2 Review". USA Today. Retrieved December 12, 2007. ↑ Taylor, Charles (July 2, 2003). "Legally Blonde 2". Salon.com. Archived from the original on June 7, 2011. Retrieved December 12, 2007. ↑ "Witherspoon leads UK première". BBC News. July 23, 2003. Archived from the original on December 17, 2003. Retrieved November 4, 2007. ↑ Silverman, Steven M. (December 3, 2002). "Julia Roberts Tops Actress Power List". People magazine. Archived from the original on April 16, 2008. Retrieved June 13, 2008. ↑ Edelstein, David (November 13, 2005). "Witherspoon Walks The Line". CBS News. Archived from the original on December 24, 2007. Retrieved November 4, 2007. ↑ "Mira's early feminist". The Telegraph. Kolkota, India. September 6, 2004. Archived from the original on December 3, 2007. Retrieved November 4, 2007. ↑ "Director Nair's Vanity project". BBC News. December 1, 2004. Retrieved November 4, 2007. ↑ Chocano, Carina (September 1, 2004). "'Vanity Fair'Review". Los Angeles Times. Archived from the original on March 10, 2008. Retrieved December 2, 2007. ↑ Stringer, Ron (September 2, 2004). "Becky, We Hardly Knew Ye". LA Weekly. Archived from the original on January 24, 2013. Retrieved February 12, 2013. ↑ Levy, Emanuel (September 7, 2004). "Vanity Fair". Cinema 24/7. Archived from the original on April 7, 2017. Retrieved February 12, 2013. ↑ Moten, Katie (December 29, 2005). "Just Like Heaven (PG)". Raidió Teilifís Éireann. Archived from the original on October 23, 2007. Retrieved November 4, 2007. 1 2 3 "Faces of the week". BBC News. November 3, 2006. Archived from the original on February 13, 2009. Retrieved November 5, 2007. ↑ "Reese Witherspoon, live on Breakfast". BBC News. February 1, 2006. Archived from the original on January 6, 2007. Retrieved November 7, 2007. ↑ Donaldson-Evans, Catherine (February 8, 2006). "Stars Learn to Sing for Roles ... or Do They?". Fox News Channel. Archived from the original on December 3, 2007. Retrieved November 5, 2007. ↑ Ebert, Roger (September 27, 2002). "Walk the Line". Chicago Sun-Times. Archived from the original on December 12, 2007. Retrieved December 1, 2007. 1 2 "Movie stars up for country award". BBC. March 20, 2006. Archived from the original on May 21, 2006. Retrieved July 17, 2008. ↑ "2006 Nominees". Country Music Television. Archived from the original on July 19, 2008. Retrieved July 17, 2008. 1 2 Murray, Rebecca (July 31, 2017). "Reese Witherspoon Interview". About.com. Archived from the original on August 20, 2007. Retrieved February 23, 2018. ↑ "Exclusive: Penelope Set Pics". Empire. March 15, 2006. Archived from the original on December 31, 2014. Retrieved December 31, 2014. ↑ Macdonald, Moira (September 6, 2006). "From Toronto: Let the film festival begin!". The Seattle Times. Archived from the original on June 22, 2011. Retrieved December 12, 2007. ↑ Wood, Jennifer M. (February 29, 2008). "Deconstructing Penelope". MovieMaker. Retrieved December 12, 2007. ↑ Goldstein, Gregg (September 6, 2007). "Penelope' slides to Summit". The Hollywood Reporter. Archived from the original on November 10, 2012. Retrieved February 1, 2012. ↑ Rose, Charlie (December 21, 2014). "Reese Witherspoon: Ready for a Change". CBS News. Archived from the original on December 29, 2014. Retrieved December 31, 2014. ↑ Germain, David (October 16, 2007). "Witherspoon Gives a Dramatic `Rendition'". The Washington Post. Retrieved November 5, 2007. ↑ Mathews, Jack (October 19, 2007). "'Rendition' is story of torture". New York Daily News. Archived from the original on December 22, 2007. Retrieved December 12, 2007. ↑ Puig, Claudia (October 18, 2007). "'Rendition' fails to turn over interest". USA Today. Retrieved December 12, 2007. ↑ Mcnary, Dave (July 26, 2007). "Vaughn, Witherspoon set for comedy". Variety. Archived from the original on October 12, 2007. Retrieved August 22, 2007. ↑ "Four Christmases (2008):Reviews". Metacritic. Archived from the original on December 5, 2008. Retrieved November 30, 2008. ↑ Wloszczyna, Susan (March 11, 2008). "First look: 'Monsters vs. Aliens' is the ultimate; a 3-D 'first'". USA Today. Retrieved April 6, 2008. ↑ "Legally Blondes (2008)". All Movie Guide. Archived from the original on February 14, 2015. Retrieved February 14, 2015. ↑ "This Week's Cover: The return of Reese Witherspoon". Entertainment Weekly. Archived from the original on January 1, 2011. Retrieved December 29, 2010. ↑ Wilkinson, Amy (February 1, 2012). "'This Means War' Star Reese Witherspoon is in her 'Love Triangle Period'". MTV. Archived from the original on May 10, 2012. Retrieved February 20, 2012. ↑ Cieply, Michael (March 22, 2010). "Star-Heavy Big-Budget Love Story Bucks Trend". The New York Times. Archived from the original on March 30, 2010. Retrieved April 27, 2010. ↑ Brunsting, Joshua (June 9, 2010). "Gordon and the Whale". Gordon and the Whale. Archived from the original on June 13, 2010. Retrieved June 21, 2010. ↑ "Film trailer: Witherspoon, Rudd, Wilson and Nicholson in 'How Do You Know'". The Independent. UK. August 14, 2010. Archived from the original on November 8, 2012. Retrieved August 14, 2010. ↑ Siegel, Tatiana (February 17, 2009). "Rudd, Wilson in talks for Brooks film". Variety. Archived from the original on September 17, 2012. Retrieved March 14, 2010. ↑ "Reese Witherspoon: Filming in Philly". GossipCenter Network. October 1, 2009. Archived from the original on July 23, 2011. Retrieved April 2, 2011. ↑ "Reese Witherspoon, Owen Wilson Movie Coming to D.C." Washington City Paper. June 4, 2009. Archived from the original on June 18, 2009. Retrieved March 14, 2010. ↑ "Box office: 'How Do You Know' flops; 'Tron' doesn't; and like the bear himself, 'Yogi' is soft [Updated]". Los Angeles Times. December 19, 2010. Archived from the original on December 22, 2010. Retrieved December 28, 2010. ↑ "Rotten Tomatoes: How Do You Know". Rotten Tomatoes. Archived from the original on December 23, 2010. Retrieved December 28, 2010. ↑ Frazier, Kevin (March 10, 2010). "Reese Witherspoon Goes to Washington". Entertainment Tonight. Archived from the original on April 3, 2012. Retrieved February 6, 2011. ↑ "Robert Pattinson begins shooting for "Water for Elephants". Hollywood News. May 20, 2010. Archived from the original on January 4, 2013. Retrieved May 22, 2010. ↑ Lawrence, Francis. "Twitter". Archived from the original on August 9, 2010. Retrieved September 19, 2010. ↑ McClintock, Pamela (December 23, 2010). "Fox Pushes Rio, Water for Elephants Releases". The Hollywood Reporter. Archived from the original on December 27, 2010. Retrieved December 28, 2010. ↑ "Rotten Tomatoes: Water for Elephants". Rotten Tomatoes. Archived from the original on June 27, 2011. Retrieved June 28, 2011. ↑ Sperling, Nicole (May 6, 2010). "Chris Pine in early negotiations for spy comedy 'This Means War' at Fox". Entertainment Weekly. Archived from the original on December 22, 2016. Retrieved January 2, 2012. ↑ "Chris Pine preps for "War"". Hollywood News. May 8, 2010. Archived from the original on May 10, 2010. Retrieved May 8, 2010. ↑ "This Means War to start filming". Vancouver Sun. September 3, 2010. Archived from the original on September 7, 2010. Retrieved September 19, 2010. ↑ "This Means War Gets Romantic Release Date". Movieline. April 12, 2011. Archived from the original on April 15, 2011. Retrieved June 28, 2011. ↑ "Fox to Release McG's 'This Means War' on Valentine's Day". Reuters. January 8, 2012. Archived from the original on July 26, 2012. Retrieved January 22, 2012. ↑ "This Means War – Rotten Tomatoes". Rotten Tomatoes. Archived from the original on February 21, 2012. Retrieved February 20, 2012. ↑ Barnes, Brooks (February 19, 2012). "This Means Box Office Dud". The New York Times. Archived from the original on February 21, 2012. Retrieved February 20, 2012. ↑ "Everything We Know About Reese Witherspoon's Film 'Mud,' Filming in Arkansas". InArkansas. September 28, 2011. Archived from the original on September 30, 2011. Retrieved October 3, 2011. ↑ McNary, Dave (September 26, 2011). "'Mud' banks trio of thesps". Variety. Archived from the original on May 16, 2012. Retrieved October 3, 2011. ↑ Phillips, Michael (April 19, 2012). "Cannes sets 2012 fest lineup". Chicago Tribune. Archived from the original on April 20, 2012. Retrieved May 5, 2012. ↑ Leffler, Rebecca (May 26, 2012). "Cannes 2012: Jeff Nichols' 'Mud' Slides Into Competition with Matthew McConaughey, Reese Witherspoon". Hollywood Reporter. Archived from the original on May 28, 2012. Retrieved May 27, 2012. ↑ Labrecque, Jeff (January 21, 2013). "Sundance 2013: The Rebirth of Matthew McConaughey". Entertainment Weekly. Archived from the original on January 23, 2013. Retrieved January 23, 2013. ↑ Fox, Jesse David (January 16, 2013). "Mud Trailer: Matthew McConaughey and Reese Witherspoon Have a Southern-Accent-Off". Vulture. Archived from the original on January 20, 2013. Retrieved January 16, 2013. ↑ Tapley, Kristopher (January 16, 2013). "'Mud' trailer with Matthew McConaughey reignites the fuse in advance of Sundance bow". Hitflix. Archived from the original on January 18, 2013. Retrieved January 16, 2013. ↑ Macdonald, Gayle (December 16, 2011). "Egoyan signs Reese Witherspoon for new film". Globe and Mail. Toronto. Archived from the original on December 18, 2011. Retrieved December 30, 2011. ↑ McClintock, Pamela (May 16, 2012). "Cannes 2012: Colin Firth, Reese Witherspoon's West Memphis Three Pic Gets Financing (Exclusive)". Hollywood Reporter. Archived from the original on May 20, 2012. Retrieved May 27, 2012. ↑ Gicas, Peter (June 26, 2012). "Pregnant Reese Witherspoon Spotted Shooting New Movie". eOnline. Archived from the original on January 22, 2013. Retrieved June 30, 2012. ↑ Brett, Jennifer (July 5, 2012). "Reese Witherspoon movie filming in Cartersville". Access Atlanta. Archived from the original on October 17, 2012. Retrieved January 23, 2013. ↑ Johnson, Zach (June 26, 2012). "Pregnant Reese Witherspoon Begins Shooting Devil's Knot in Atlanta". Us Weekly. Archived from the original on January 28, 2013. Retrieved January 23, 2013. ↑ Zwecker, Bill (June 23, 2012). "Reese Witherspoon talks of prom dresses, pregnancy and new film". Chicago Sun Times. Archived from the original on September 19, 2012. Retrieved January 23, 2013. ↑ Barnard, Linda (July 23, 2013). "TIFF: WikiLeaks movie The Fifth Estate to open film festival". Toronto Star. Archived from the original on July 26, 2013. Retrieved July 24, 2013. ↑ Atkinson, Nathalie (September 8, 2013). "TIFF 2013: All the night moves with Sandra Bullock, Reese Witherspoon and Jesse Eisenberg on the red carpet (but no George Clooney, sorry)". National Post. Archived from the original on September 9, 2013. Retrieved September 8, 2013. ↑ Labrecque, Jeff (February 10, 2014). "West Memphis Three drama 'Devil's Knot' with Reese Witherspoon sets release date – EXCLUSIVE". Entertainment Weekly. Archived from the original on May 2, 2014. Retrieved May 19, 2014. ↑ Yamato, Jen (April 3, 2013). "Corey Stoll, Sarah Baker, Sudanese Lost Boys Cast In 'The Good Lie'". Deadline Hollywood. Archived from the original on April 7, 2013. Retrieved April 7, 2013. ↑ Keene, Allison (April 5, 2013). "ATLwood: Reese Witherspoon back in town for "The Good Lie"". Creative Loafing Atlanta. Archived from the original on May 20, 2013. Retrieved April 7, 2013. ↑ Lang, Brent (May 27, 2014). "Reese Witherspoon Drama 'The Good Lie' Shifts to October Release". Variety. Archived from the original on January 12, 2015. Retrieved January 1, 2015. ↑ "First Look At Joaquin Phoenix On The Set Of 'Inherent Vice'". indiewire.com. June 4, 2013. Archived from the original on June 8, 2013. Retrieved June 26, 2013. ↑ Kroll, Justin (May 15, 2013). "Reese Witherspoon Eyes Reteam With Joaquin Phoenix in 'Inherent Vice'". Variety. Archived from the original on July 13, 2013. Retrieved July 22, 2013. ↑ Duncan, Dustin (September 17, 2013). "'Gone Girl' filming at Giant City State Park". The Southern. Archived from the original on September 20, 2013. Retrieved October 16, 2013. ↑ Kit, Borys (January 22, 2013). "David Fincher in Talks to Direct 'Gone Girl'". The Hollywood Reporter. Archived from the original on January 24, 2013. Retrieved January 23, 2013. ↑ Strecker, Erin (October 15, 2013). "'Gone Girl' gets release date". Entertainment Weekly. Archived from the original on September 6, 2014. Retrieved May 19, 2014. ↑ Riley, Jenelle (October 7, 2014). "Reese Witherspoon, Bruna Papandrea Push for Female-Driven Material With Pacific Standard". Variety. Archived from the original on January 12, 2015. Retrieved December 31, 2014. ↑ "Reese Witherspoon buys movie rights to Cheryl Strayed's memoir". Oregon Live. March 8, 2012. Archived from the original on April 26, 2012. Retrieved July 29, 2012. ↑ McNary, Dave (October 11, 2013). "Reese Witherspoon's 'Wild' Adds Michiel Huisman, W. Earl Brown". Variety. Archived from the original on October 13, 2013. Retrieved October 16, 2013. ↑ "Wild (2014)". Rotten Tomatoes. Archived from the original on November 26, 2014. Retrieved December 7, 2014. ↑ Phillips, Michael (December 4, 2014). "Review: 'Wild'". Chicago Tribune. Archived from the original on December 7, 2014. Retrieved December 7, 2014. ↑ Mendelson, Scott (September 9, 2014). "Can Reese Witherspoon Have Her Own 'McConaissance?'". Forbes. Archived from the original on September 9, 2014. Retrieved January 1, 2015. ↑ Robey, Tim (December 29, 2014). "Wild is Reese Witherspoon's major comeback". The Telegraph. London. Archived from the original on January 1, 2015. Retrieved January 1, 2015. ↑ Stack, Tim (January 15, 2015). "Reese Witherspoon on her Oscar nomination: 'I can't imagine ever having a year this good'". Entertainment Weekly. Archived from the original on February 19, 2015. Retrieved February 1, 2015. ↑ Scott, Mike (May 12, 2014). "'Don't Mess With Texas,' starring Reese Witherspoon and Sofia Vergara, starts filming this week in New Orleans". The Times-Picayune. Archived from the original on December 28, 2014. Retrieved March 8, 2015. ↑ McNary, Dave (February 12, 2015). "Watch: First Trailer for Reese Witherspoon-Sofia Vergara's 'Hot Pursuit'". Variety. Archived from the original on February 26, 2015. Retrieved March 8, 2015. ↑ "Sing (2016)". Box Office Mojo. Archived from the original on January 14, 2017. Retrieved January 21, 2017. ↑ Andreeva, Nellie (March 30, 2017). "'Big Little Lies' Limited Series Starring Nicole Kidman & Reese Witherspoon Picked Up By HBO". Deadline Hollywood. Archived from the original on May 9, 2015. Retrieved May 8, 2015. ↑ "'Big Little Lies', starring Nicole Kidman and Reese Witherspoon, is filming in Monterey, CA this week". On Location Movies. January 25, 2016. Archived from the original on January 26, 2016. Retrieved January 26, 2016. ↑ Rosenberg, Alyssa (March 30, 2017). "Reese Witherspoon is unlikable again in 'Big Little Lies.' Thank goodness". The Washington Post. Retrieved March 30, 2017. ↑ Kroll, Justin (August 4, 2016). "Reese Witherspoon in Talks to Star in 'Home Again' (EXCLUSIVE)". Variety. Archived from the original on November 10, 2016. Retrieved March 30, 2017. ↑ "Wrinkle in Time Cast Announced as Filming Begins". ComingSoon.net. November 1, 2016. Archived from the original on November 29, 2016. Retrieved March 30, 2017. 1 2 Spangler, Todd (July 10, 2018). "Reese Witherspoon Interview Series to Kick Off Her Hello Sunshine Channel Debut on AT&T, DirecTV". Variety. Retrieved July 12, 2018. ↑ "'Big Little Lies' renewed for season 2 with new director". EW.com. Retrieved July 23, 2018. ↑ "Apple Lands New Reese Witherspoon and Jennifer Aniston TV Show". Retrieved July 23, 2018. ↑ Andreeva, Nellie (March 2, 2018). "Reese Witherspoon & Kerry Washington To Star In & Produce Limited TV Series Based On 'Little Fires Everywhere' Book". Deadline. Retrieved July 23, 2018. ↑ Otterson, Joe (October 12, 2018). "Sara Saedi Memoir 'Americanized' in Development as ABC Comedy With Reese Witherspoon Producing". Variety. Retrieved October 13, 2018. ↑ Andreeva, Nellie (May 2, 2018). "'Are You Sleeping' Drama Starring Octavia Spencer Gets Apple Series Order; Reese Witherspoon & Peter Chernin Producing". Deadline. Retrieved July 23, 2018. ↑ Nyren, Erin (June 20, 2018). "Kristen Wiig Will No Longer Star in Apple Comedy After 'Wonder Woman 2' Scheduling Conflict". Variety. Retrieved July 23, 2018. ↑ Jr, Mike Fleming (November 14, 2017). "Zendaya To Star In 'A White Lie,' Pitch Package From Reese Witherspoon's Hello Sunshine". Deadline. Retrieved July 23, 2018. ↑ N'Duka, Amanda (May 15, 2018). "Reese Witherspoon Producing Documentary On Tennis Legend Martina Navratilova". Deadline. Retrieved July 23, 2018. ↑ Hancock, Tiffany (February 13, 2006). "Fashion victim: Reese Witherspoon". The Daily Telegraph. UK. Archived from the original on December 3, 2007. Retrieved November 5, 2007. ↑ Borys Kit (March 18, 2012). "Reese Witherspoon, Bruna Panadrea Merge Production Companies to Create Pacific Standard". Hollywood Reporter. Archived from the original on April 30, 2012. Retrieved July 28, 2012. ↑ Jr, Mike Fleming (September 1, 2016). "'Gone Girl' Producers Reese Witherspoon & Bruna Papandrea Parting". Archived from the original on November 25, 2016. Retrieved December 25, 2016. ↑ Busch, Anita (November 21, 2016). "Reese Witherspoon, Otter Media Pact For New Company Hello Sunshine". Deadline Hollywood. Archived from the original on January 15, 2017. Retrieved January 15, 2017. ↑ Apple Inc (April 23, 2013). "To Be Loved by Michael Bublé". iTunes. Archived from the original on May 13, 2013. Retrieved April 23, 2013. ↑ "Reese Witherspoon launches Draper James lifestyle brand". CBS News. May 6, 2015. Archived from the original on May 7, 2015. Retrieved May 6, 2015. ↑ "Reese Witherspoon on Twitter". Twitter. Retrieved July 23, 2018. ↑ Elizabeth Arden Inc. (March 30, 2017). "Elizabeth Arden Signs Reese Witherspoon As Storyteller-in-Chief". PR Newswire. Retrieved March 30, 2017. 1 2 3 Finn, Natalie (August 2, 2007). "Reese Witherspoon, Avon Lady". Eonline.com. Archived from the original on December 28, 2012. Retrieved February 1, 2012. ↑ Plaisance, Stacey (May 8, 2006). "Witherspoon, Garner Tour New Orleans". The Washington Post. Retrieved December 1, 2007. 1 2 "Reese Witherspoon Speaks About Children of Katrina". ABC News. May 14, 2006. Archived from the original on August 9, 2007. Retrieved December 1, 2007. ↑ Guest, Katy (August 5, 2007). "Reese Witherspoon: From Hollywood star to Avon lady". London: The Independent. Archived from the original on July 29, 2013. Retrieved February 1, 2012. 1 2 3 "Reese Witherspoon heeds Avon call to be spokeswoman". Reuters. August 2, 2007. Archived from the original on December 28, 2007. Retrieved November 11, 2007. ↑ "Witherspoon to become 'Avon lady'". BBC News. August 1, 2007. Archived from the original on April 29, 2008. Retrieved December 1, 2007. ↑ "Reese Witherspoon on Twitter". Retrieved December 25, 2016. 1 2 "Video: Who Influences Reese Witherspoon?". NewYou. November 10, 2015. Archived from the original on March 14, 2016. Retrieved March 1, 2016. ↑ "Women in Entertainment Power 100: The Stars". Archived from the original on October 11, 2016. Retrieved December 25, 2016. ↑ "Instagram photo by Reese Witherspoon • Dec 28, 2014 at 5:20pm UTC". Archived from the original on September 21, 2016. Retrieved December 25, 2016. ↑ "The Movie That Had the Biggest Influence on Reese Witherspoon". ABC. February 17, 2015. Archived from the original on March 14, 2016. Retrieved March 1, 2016. ↑ Team Coco (February 15, 2012). "Reese Witherspoon Loves Pinterest & Jennifer Aniston – CONAN on TBS" – via YouTube. ↑ de Kretser, Leela (October 31, 2006). "Split end for a 'Legal blonde'". New York Post. Archived from the original on August 1, 2013. Retrieved February 1, 2012. ↑ Thomas, Karen (November 8, 2006). "Reese Witherspoon, Ryan Phillippe separate". USA Today. Retrieved November 10, 2007. 1 2 "Reese Witherspoon gives birth". CNN. October 29, 2003. Archived from the original on December 6, 2007. Retrieved November 10, 2007. ↑ Sheri & Bob Stritof. "Reese Witherspoon and Ryan Phillippe Marriage Profile". About.com. Archived from the original on July 19, 2008. Retrieved July 2, 2008. ↑ Frankel, Daniel (June 8, 1999). "Witherspoon. Phillippe. Married". Eonline.com. Archived from the original on June 16, 2012. Retrieved February 1, 2012. ↑ "Reese Witherspoon and Ryan Phillippe's Sweet 18th Birthday Messages to Daughter Ava". September 9, 2017. Retrieved April 11, 2018. ↑ Colacello, Bob. "Inside Paris's 25th Annual le Bal des Débutantes". Vanity Fair. ↑ "Reese Witherspoon & Ryan Phillippe Split". People. October 30, 2006. Archived from the original on December 22, 2014. Retrieved December 22, 2014. ↑ "Is Reese Witherspoon Dating Again?". People. February 4, 2010. Archived from the original on April 20, 2010. Retrieved April 24, 2010. ↑ "Reese Witherspoon's Date Night". People. February 25, 2010. Archived from the original on April 20, 2010. Retrieved April 24, 2010. ↑ "Reese Witherspoon's Birthday Getaway with Jim Toth". People. March 22, 2010. Archived from the original on April 20, 2010. Retrieved April 24, 2010. ↑ Finke, Nikki (September 21, 2010). "New Heads Of CAA's MP Talent Department". People. Archived from the original on November 25, 2010. Retrieved December 8, 2010. ↑ "Reese Witherspoon, Jim Toth Engaged!". Us Weekly. December 28, 2010. Archived from the original on December 30, 2010. Retrieved December 28, 2010. ↑ "Reese Witherspoon Wedding on Saturday". Extra. March 25, 2011. Archived from the original on April 28, 2011. Retrieved March 27, 2011. ↑ "Reese Witherspoon Weds Jim Toth!". Us Weekly. March 26, 2011. Archived from the original on April 30, 2011. Retrieved March 26, 2011. ↑ Chan, Jennifer (November 12, 2013). "Reese Witherspoon Sells Ojai Home for $5.9 Million: See Robert Pattinson's Post-Breakup Hideout". E!. Archived from the original on September 6, 2014. Retrieved November 15, 2013. ↑ Jordan, Julie (September 27, 2012). "Reese Witherspoon Welcomes Son Tennessee James". People. Archived from the original on September 28, 2012. Retrieved September 27, 2012. ↑ "Reese Will Pay Fine, Toth Pleads Guilty to DUI". May 2, 2013. ↑ "Saturday Night Live Preps 'Emotional' Premiere". ABC News. September 27, 2001. Archived from the original on April 23, 2009. Retrieved December 12, 2007. ↑ "Kutcher tops list of young, powerful". San Diego Union-Tribune. August 6, 2005. Archived from the original on January 19, 2012. Retrieved February 1, 2012. ↑ "The people who shape our world". TIME. Archived from the original on May 2, 2006. Retrieved November 5, 2007. ↑ Wilson, Luke (April 30, 2006). "Reese Witherspoon". TIME. Archived from the original on October 22, 2007. Retrieved November 5, 2007. ↑ "The 100 Sexiest Women In The World 2006". FHM. Archived from the original on October 22, 2007. Retrieved November 5, 2007. ↑ "Facts about People's most beautiful list" (PDF). CBS News. Archived (PDF) from the original on February 27, 2008. Retrieved December 28, 2007. ↑ "2006:The Celebrity 100". Forbes. June 15, 2006. Archived from the original on December 11, 2007. Retrieved November 21, 2007. ↑ "2007:The Celebrity 100". Forbes. June 14, 2007. Archived from the original on November 15, 2007. Retrieved November 21, 2007. ↑ Rose, Lacey (September 25, 2006). "The Ten Most Trustworthy Celebrities". Forbes. Archived from the original on December 1, 2007. Retrieved November 21, 2007. ↑ "People: Beyonce, Jennifer Lopez, Reese Witherspoon Among Best-Dressed". Fox News. September 12, 2007. Archived from the original on December 23, 2007. Retrieved November 21, 2007. ↑ "Access Hollywood's Best Dressed Stars Of 2007". Access Hollywood. January 5, 2009. Archived from the original on July 29, 2013. Retrieved February 1, 2012. ↑ Rubenstein, Hal (March 6, 2012). "The "Ryan Who?" Dress". 100 Unforgettable Dresses. New York: Harper Design. ISBN 978-0-06-219888-4. ↑ "Reese Witherspoon tops list of most-liked celebs". Reuters. January 4, 2008. Archived from the original on January 12, 2008. Retrieved January 5, 2008. ↑ Goodwin, Christopher (October 7, 2007). "A testing time for Reese Witherspoon". The Times. UK. Archived from the original on September 8, 2008. Retrieved November 5, 2007. ↑ Grabicki, Michelle (November 30, 2007). "Witherspoon is Hollywood's highest-paid actress". Reuters. Archived from the original on December 2, 2007. Retrieved November 5, 2007. ↑ "Drew Barrymore, Eddie Murphy named Hollywood's most overpaid actors by Forbes – NY Daily News". New York: Articles.nydailynews.com. November 4, 2011. Retrieved April 21, 2013. ↑ Pomerantz, Dorothy (April 18, 2012). "Eddie Murphy Tops Our List Of The Most Overpaid Actors In Hollywood". Forbes. Archived from the original on April 20, 2013. Retrieved April 21, 2013. ↑ Pomerantz, Dorothy (December 9, 2013). "Adam Sandler Tops Forbes' 2013 List Of The Most Overpaid Actors". Forbes. Archived from the original on December 10, 2013. Retrieved January 26, 2014. ↑ "People's Most Beautiful 2011 – Reese Witherspoon". People. April 13, 2011. Archived from the original on August 8, 2011. ↑ "Welcome – Hollywood Chamber of Commerce". Hollywoodchamber.net. Archived from the original on February 10, 2011. Retrieved February 4, 2011. ↑ Gardner, Eriq (November 24, 2015). "Judge Leans Against "Reese Witherspoon" as a Protectable Slogan". The Hollywood Reporter. Archived from the original on February 1, 2016. Retrieved January 25, 2016. ↑ Eslinger, Bonnie (December 1, 2015). "Reese Witherspoon Wins Round In Publicity Rights Battle". Law360. Archived from the original on February 1, 2016. Retrieved January 25, 2016. ↑ Rothman, Jennifer E. (December 2, 2015). "L.A. Court Allows Reese Witherspoon to Proceed with Right of Publicity Claim Against Jeweler". Rothman's RoadMap To The Right Of Publicity. Archived from the original on January 31, 2016. Retrieved January 25, 2016. ↑ Eriq, Gardner (February 16, 2016). "Hollywood Docket: Reese Witherspoon Settles Imitation Jewelry Lawsuit". The Hollywood Reporter. Archived from the original on February 21, 2016. Retrieved March 1, 2016. ↑ "Reese Witherspoon Reveals She Was Assaulted by a Director at 16". Elle. October 17, 2017. Retrieved October 18, 2017. ↑ Kaling, Mindy (April 16, 2015). "Reese Witherspoon". TIME. Archived from the original on January 25, 2016. Retrieved January 25, 2016. ↑ Lincoln, Ross A. (July 23, 2015). "Reese Witherspoon To Get 2015 American Cinematheque Award". Deadline Hollywood. Archived from the original on December 28, 2015. Retrieved January 25, 2016. ↑ Kilday, Gregg (July 23, 2015). "Reese Witherspoon to be Honored by American Cinematheque". The Hollywood Reporter. Archived from the original on February 2, 2016. Retrieved January 25, 2016. ↑ D'Alessandro, Anthony (October 30, 2015). "Reese Witherspoon Carries Torch For Women At American Cinematheque Tribute; Katzenberg Receives Sid Grauman Award". Deadline Hollywood. Archived from the original on January 7, 2016. Retrieved January 25, 2016. ↑ Berg, Madeline. "Media & Entertainment". Forbes. Forbes. Retrieved June 20, 2018. ↑ "Reese Witherspoon confirms Legally Blonde 3". RTE.ie. June 7, 2018 – via www.rte.ie. ↑ Mike Judge (creator). King of the Hill – The Complete Fourth Season (DVD). Fox Television. ↑ "Freedom: A History of Us". TV Guide. Retrieved March 20, 2018. ↑ "Reese Witherspoon on Saturday Night Live". NBC. Retrieved March 20, 2018. ↑ Fienberg, Daniel (September 15, 2015). "'Best Time Ever With Neil Patrick Harris': TV Review". The Hollywood Reporter. Retrieved March 20, 2018. ↑ "Reese Witherspoon vs. Miss Piggy Video". ABC. Retrieved March 20, 2018. ↑ Bacle, Ariana (August 29, 2017). "Reese Witherspoon to Guest on 'The Mindy Project'". Entertainment Weekly. Retrieved March 20, 2018. ↑ Ue, Tom (2013). "Don't Show Us, Tell Us: An Interview with Jean Little". New Writing. 10 (1): 34–38. doi:10.1080/14790726.2012.693099. ISSN 1479-0726. ↑ "Reese Witherspoon". Archived from the original on July 10, 2015. Retrieved July 14, 2015.